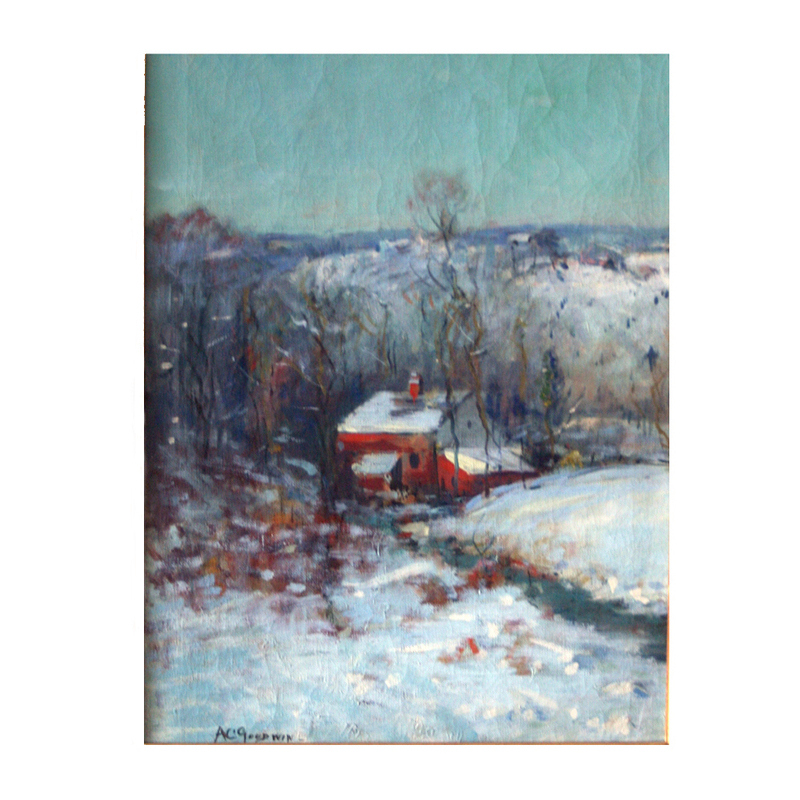 Born in Portsmouth, New Hampshire and completely self taught, Arthur Goodwin was to become, one of Boston’s most renowned pleinaire impressionists. Although he never studied or traveled to Europe, A. C. Goodwin mastered his own unique impressionist style closely patterned after the French masters. By 1910, he was exhibiting his works in some of Boston’s finest galleries including: Doll & Richards, the Copley Society, the Guild of Boston Artists, and the Boston Art Club. He is best known for his paintings of Boston street scenes and the Boston waterfront. He also produced many landscapes of rural New England as well. In 1920, he made his way to New York City and set up a studio in Washington Square. From 1920 to 1924 he concentrated on New York cityscapes. After suffering from poor health and financial mismanagement, Goodwin returned to Boston in 1925 and continued painting in New England until his death in 1929. This oil on canvas is signed in the lower left hand corner.